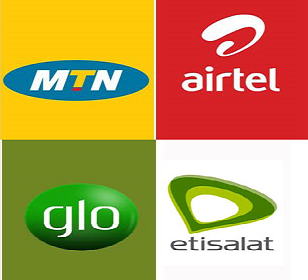 As we all know Etisalat Chatpack has been blazing since 2015 with the help of various VPNs, and one of the disappointing part of it is that the speed is throttled. which means we can't browse normal.. d download speed is very slow.. but with the help of new Tweakware v5.5 i think the throttled has been bypassed. .
Auto-renewal occurs. Dial *343*5*0# to opt out from this plan. To avoid auto renewals. ==> In Server list, select any free server in the dropdown if you are not a premium user. 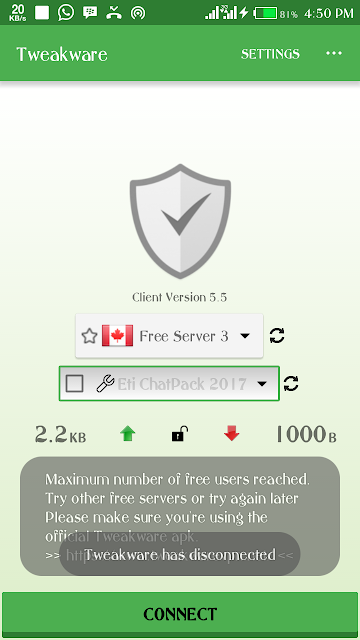 ==> On the Tweaks list, select "Eti ChatPack 2017"
You need a Premium/Upgrade account to use Tweakware for android OR you can use the free servers without upgrade/payment but your data will be limited per day on free servers. Upgrading to Premium costs only #500 and gives access to all the servers without any mb limit.